No one wants a broken air conditioner, least of all in Phoenix, Arizona. It is a stressful and unpleasant experience to say the least. You need knowledgable, experienced, and well trained professionals to diagnose and repair the problem as quickly as possible. 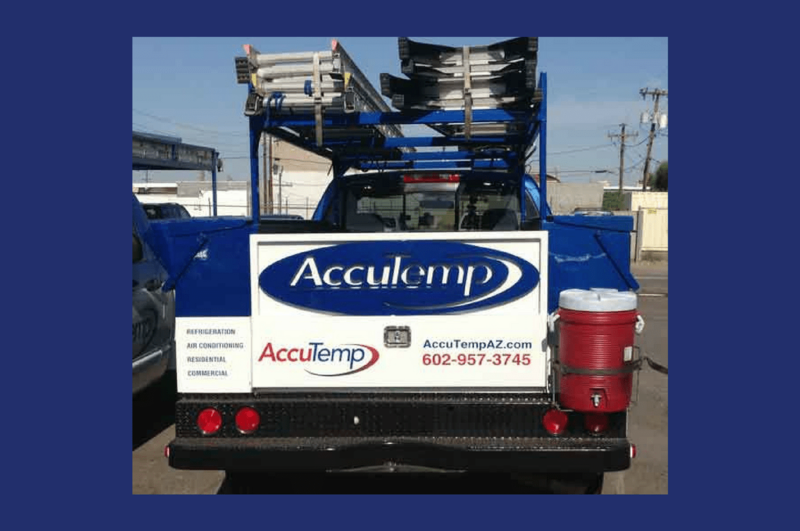 At AccuTemp we take pride in residential air conditioning repair and installation, insuring your satisfaction valley wide for over 30 years. BACKUP HEAT: On heat pumps, types of backup heat; problems with backup heat; we begin here if your heat pump is not providing enough heat or if your air conditioning system provides heat when it should be providing cooling. BURNED-OUT COMPRESSOR – how do we diagnose a burned out compressor motor? A/C Flow Too Weak – weak cool air flow can be caused by several problems, filters, icing, duct leaks, etc. Air Conditioner Refrigerant Problems – too much is as bad as too little; leaks, cures. Blower Fan No Start / No Stop – weird blower behavior can be diagnosed and fixed. See BLOWER FAN OPERATION & TESTING.